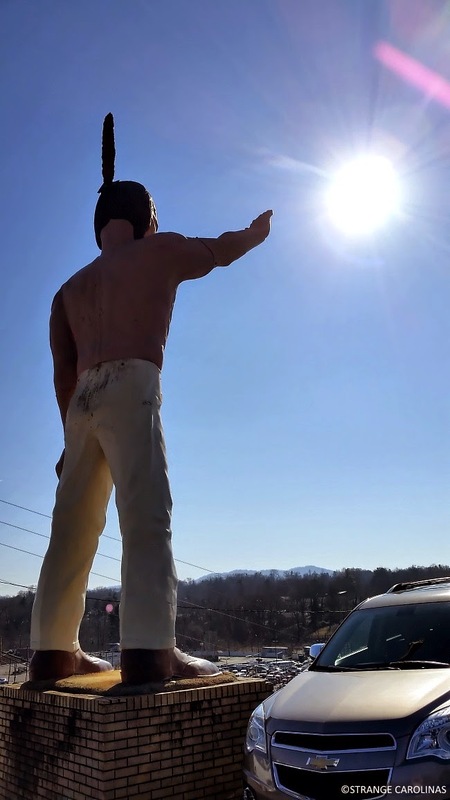 Sitting high above an Asheville strip mall is the aptly named Harry's On The Hill, a Buick/GMC/Cadillac dealership. 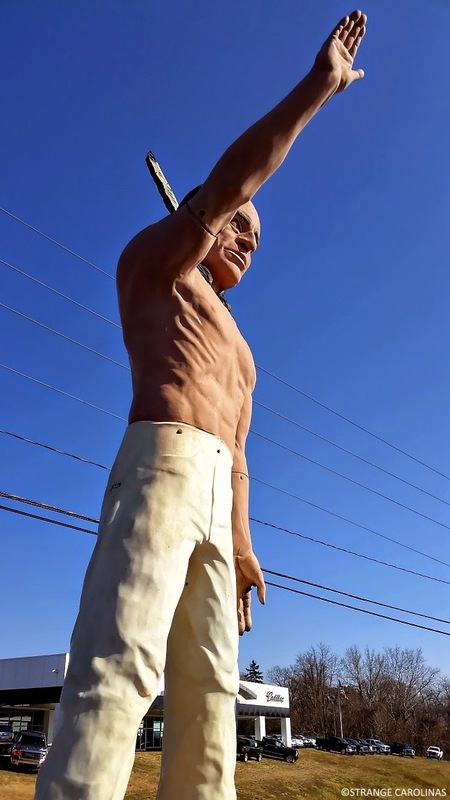 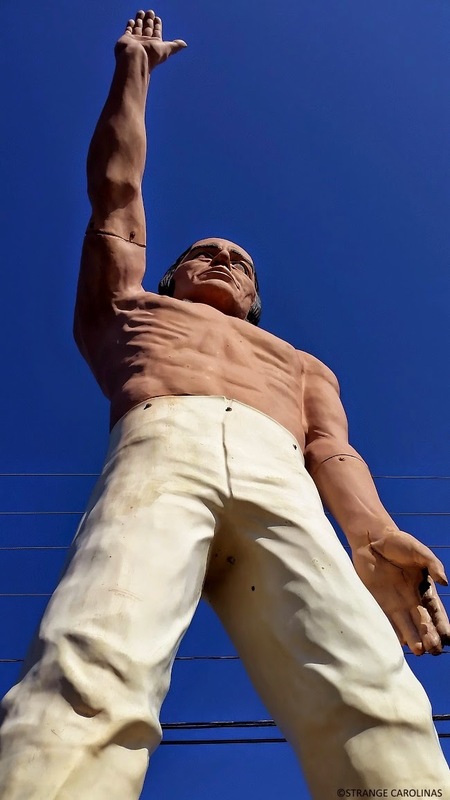 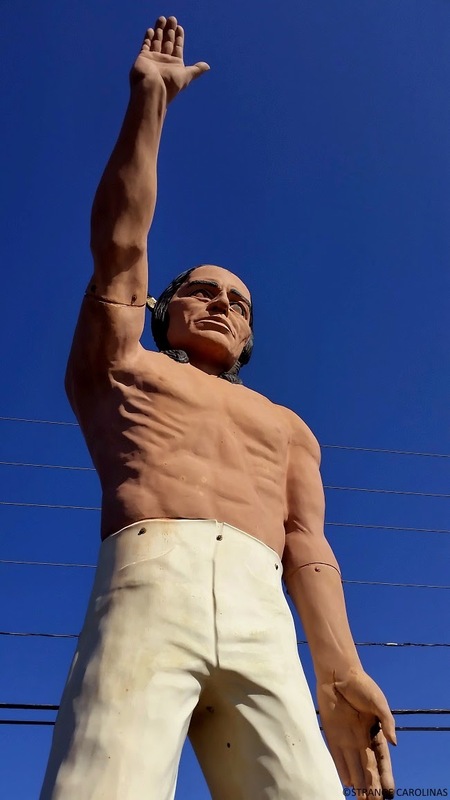 Guarding the lot's vehicles is Chief Pontiac, a Native American Muffler Man. 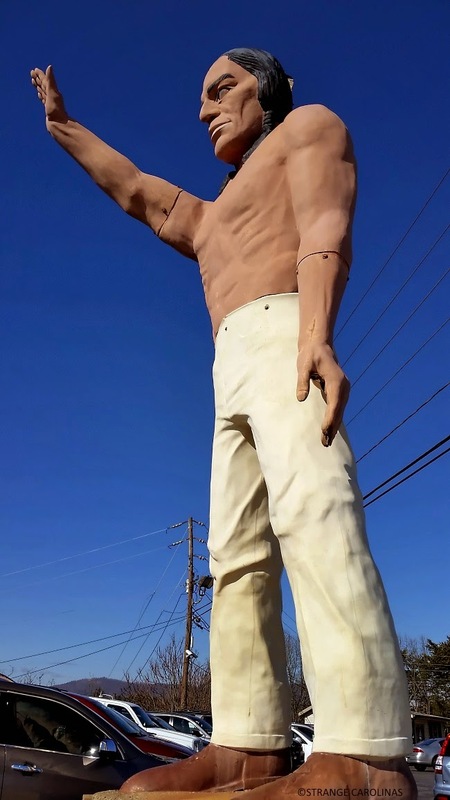 He lets you come right up to him and doesn't say a word.